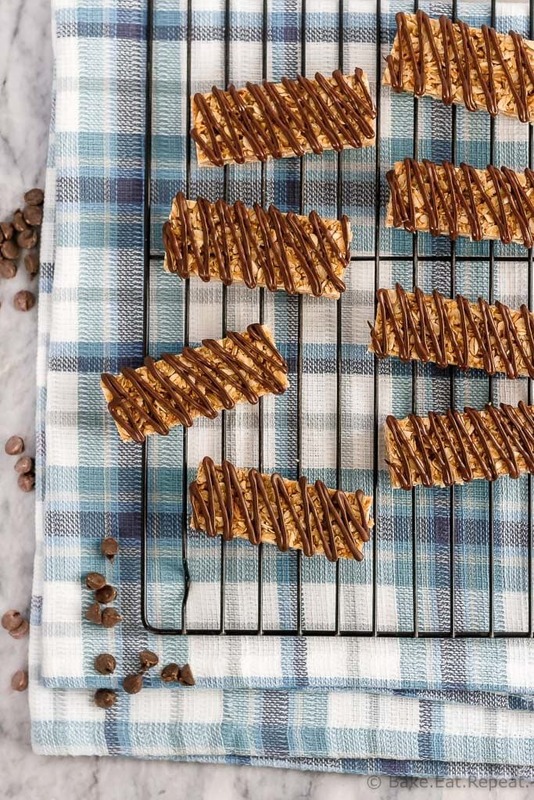 These homemade chewy coconut granola bars are quick and easy to make and are perfect to have on hand for tucking into the kids lunch boxes! I am always on the lookout for new snack recipes for the kid’s lunches. Or for after school. Or for after sports in the evenings when they’re starving. And so on and so on. Kids are always hungry. Has anyone else noticed that? Or is it just my kids? Must be all the growing or something because they just never seem to be done eating. We go through snack food around here at a ridiculous rate. I no sooner finish making a batch of granola bars then they’re telling me we’re all out. Insane, that’s what it is. I don’t even want to think about how much they’ll be eating when they hit the teenage years. It’s a little frightening. So….more granola bars today. 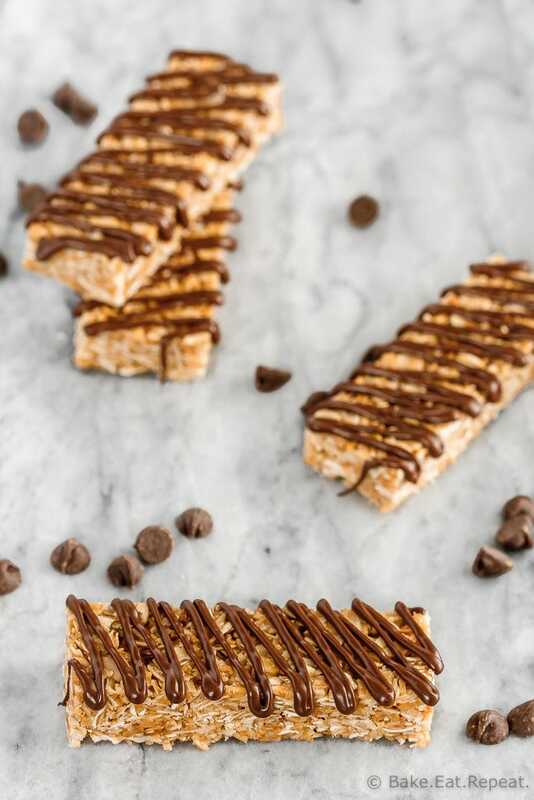 These ones are coconut granola bars, because we love coconut in all the things. 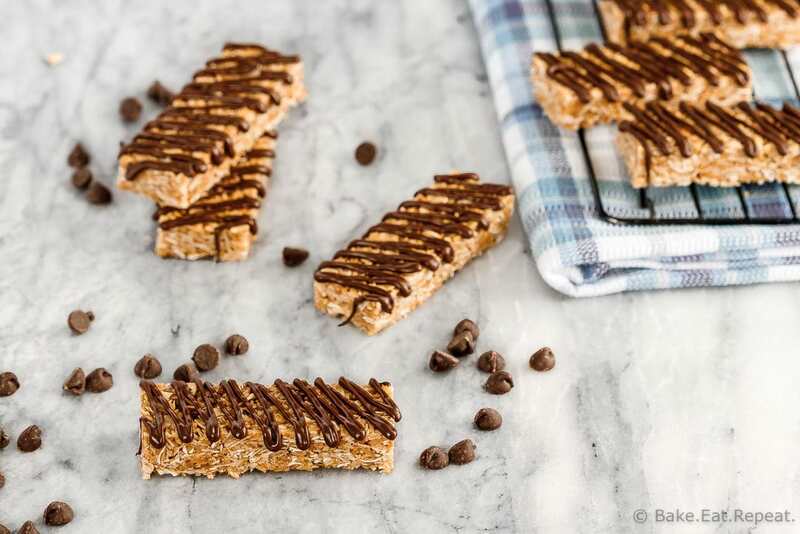 These easy, no bake granola bars have shredded coconut and coconut oil in them for a nice coconut-y flavour, and lots of rolled oats to make them hearty and filling. They’re nice and chewy, but also pack well in a lunch box without falling apart. We like them with melted chocolate drizzled on top, or sometimes with mini chocolate chips mixed in, but you could completely omit the chocolate if you wanted to make them a bit healthier and they would still be delicious. 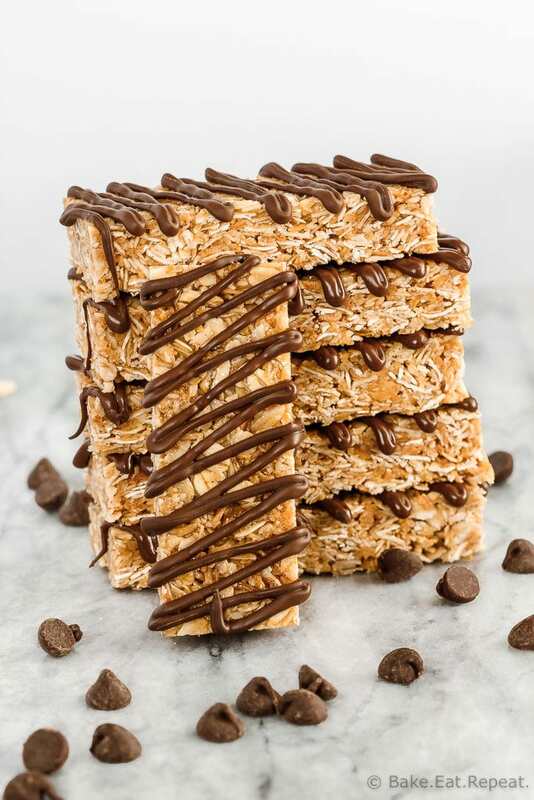 These coconut granola bars are such an easy snack to make – and will definitely be getting added to the homemade granola bar rotation around here that already includes these apple cinnamon energy bars, these chocolate peanut butter granola bars and these oatmeal raisin no bake granola bars. Homemade snacks that are easy to make are my favourite recipes for a reason. I need fast and easy when the kids eat them all within minutes! I’ve also shared this Coconut Granola Bars Recipe over on Food Fanatic.